Does dedicated IP affect SEO? The speed of your website impacts your search result essentially. So, you always need to strive for making your website as fast as possible. If your account is located on a shared hosting server, your website most likely shares the same IP with another website handling high traffic. Especially if the site has a lot of visitors and heavy content, which can a bit slow down your website. And the speed impacts SEO as it influences search engine ranking position with Google. However, it doesn’t mean that getting a dedicated IP will speed up your website. Luckily, there are numerous optimization methods to speed up website loading time significantly. If you have a WordPress website, you can refer to this guide about optimizing and speeding up the website. You can check your website with online tools such as Google Page Speed to track the website speed results after each step and optimize recommended items. You may also consider our Business SSD plans with the pure SSD disks, which are faster and more reliable. SSD provides improved performance for consumers (particularly for larger, heavy websites such as popular Magento stores or very busy WordPress blogs). A server with SSD disks read data faster than a standard HDD or a hybrid system that includes several servers which all share one external SSD powered storage. SSD disks are more resistant to drops, bumps, g-forces and run quietly, have lower access times, and less latency comparing to HDD. Improved performance is achieved by higher read/write speeds on SSD disks, which allow websites to load faster. With a SSD a server can handle more read/write requests in general before becoming unstable, which confirms the stability of the server and uptime. Even during peak activity the backed up I/O requests can be served. On the shared server, your website can share an IP address with another website that has been marked as malware. In such cases some network security programs can “null route” requests to these IPs and it will make your website unreachable. Also some anti-virus software may mark all websites with the same IP as malware, which will cause false alerts against your website and such kind of alerts can be displayed in most of modern browsers (for example, 'This site may harm your computer' or 'The website ahead contains malware'). So having a dedicated IP can be a good way out. SSL Certificates encrypt traffic to your site. Usually it's required by e-commerce website and websites, which store personal information. This doesn’t affect SEO directly, but is should be mentioned as well. The real thing you should take into account is Google penalties due to links or malware. It may happen that your website is hosted on a shared server with a website considered as 'spammy' and your website could be negatively impacted in this case. However, we are constantly working for prevention of such occurrences on our servers. Google understands that the website can be on the shared hosting and you can’t control websites, which share same IP or IP subnet. However, if there are some 'spammy' websites on the same IP and only one is 'normal', that looks rather bad and it worth to be worried about. On the other hand, when there is a mix of 'spammy' and 'normal' websites on the same IP (like on most of shared hosting), there is nothing to worry about. For example, you have a website yourwebsite.com and it shares a host and IP with a big WordPress Multisite that is used as a 'link farm' to generate links to 'spammy' websites to try and gain position in search engine ranking positions. In this case, your website takes a risk to be penalized for sharing the same IP as this 'link farm' because of the violations, which involves other thousands of sites on the network. Penguin update by Google improved their search ranking algorithm and takes into account websites participating in a link network. You can always look up and see who is sharing your hosting IP address. 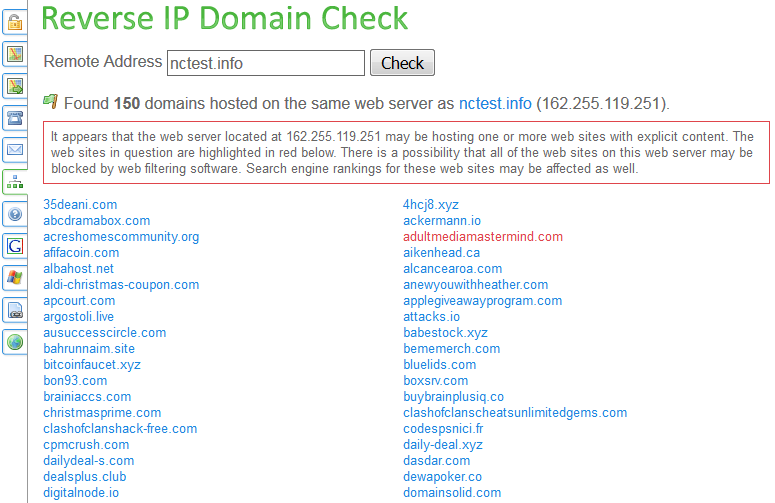 There are many free tools to do a reverse IP lookup in the Internet. For example, this one. You can add your website to Google Webmaster Tools and enable email alerts to be sure you will be get a notification from Google Webmaster Tools if they send you a warning. Contact your hosting provider and ask to provide you with another IP. 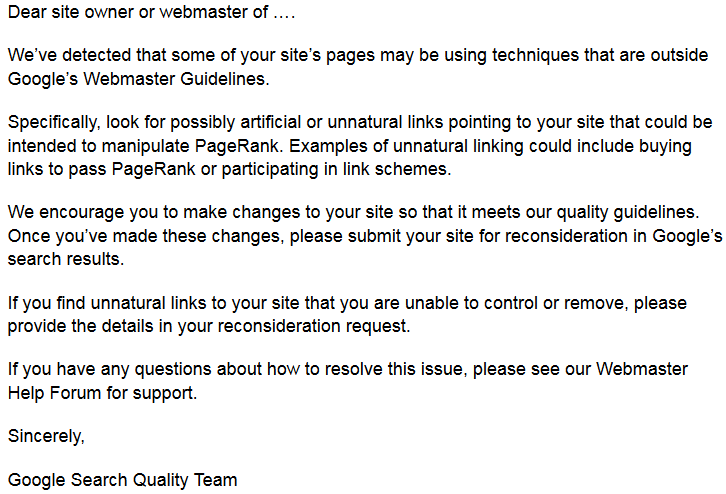 Submit a Reconsideration Request in Google Webmaster Tools. There can be exceptions to the rule, but in general it's not a must to have a dedicated IP address for improving SEO. Always check your website by Google Webmaster Tools and monitor your co-hosted sites in order to protect your website and pay attention to security and optimization of your own website. There are much many other SEO related things you should focus on before considering a dedicated IP address. For example, you can check Google’s Webmaster Guidelines for more information. If you still think you need a dedicated IP address, make sure you understand 'WHY' so that you and your hosting provider can find a solution that works for you.